Build your Internet shop and start selling from it in minutes. With easy to use system you can manage your internet shop from just about anywhere form the world. It's the MOST FLEXIBLE WAY to build an intenet shop! 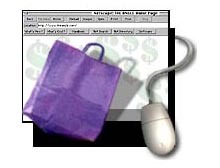 Having an internet shop is crucial from businesses today.